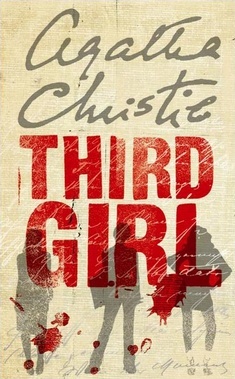 A young girl who thinks she "might have committed a murder" comes to consult Poirot at his flat one day. "You're too old" is how she leaves him, stunned yet intrigued. His ego may have been hurt, but more importantly, his curiosity is piqued. Who is this girl and why does she think she's murdered someone? Surely, one would know? Poirot, with his infallible "grey cells" begins to track down this girl. He senses some impending danger - either to the girl or from the girl. What is the mystery? Who is this girl? Is she mad? Or delusional? Was the whole thing a joke? Somehow, Poirot doesn't think so and until he figures it out, he won't rest. This book reminded me of two other Agatha Christie books: Why Didn't They Ask Evans? and The Mirror Crack'd From Side to Side. Agatha Christie's style is somewhat repetitive. For one thing, she used the same device in both Why Didn't They Ask Evans and Third Girl: A person who believes they are suffering from cancer commit suicide, which actually turns out to be a very clever murder. I think I'm developing a tortuous mind like Poirot. This book featured one of my favorite characters in the Agatha Christie Universe, Dr. Stillingfleet. The loose-jointed, red-headed young doctor is a refreshing and endearing character. Really, it's because of his character that I enjoyed re-reading this book so much. Besides that, the novel had no extra brilliance that would recommend it.